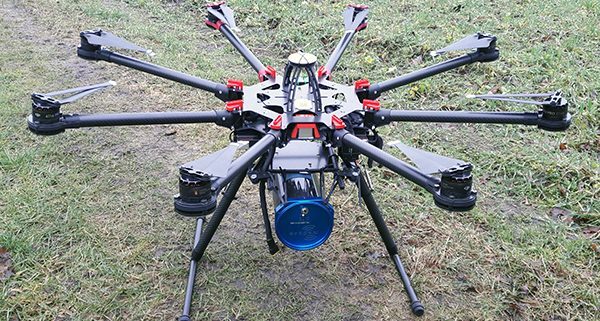 The project aimed at solving a number of issues that prohibit the use of “standard” gamma-ray detector systems on drones. We had to figure out a new shape and size of the sensitive part of the detector. Next to that, the type of material used for the radiation detecting part had to be revised, and a new type of optimized housing had to be developed for the sensor. In a second phase we worked on the miniaturization of the sensor electronics. Small footprint and low-power electronics are key for a drone system. A 3rd step in the project was to create embedded software for the system to become fully self-contained. Traditional radiation sensing systems require some kind of operator interference. This of course cannot be done on a drone so we had to find ways to have the system control itself. All of this has evolved in a prototype sensor system. 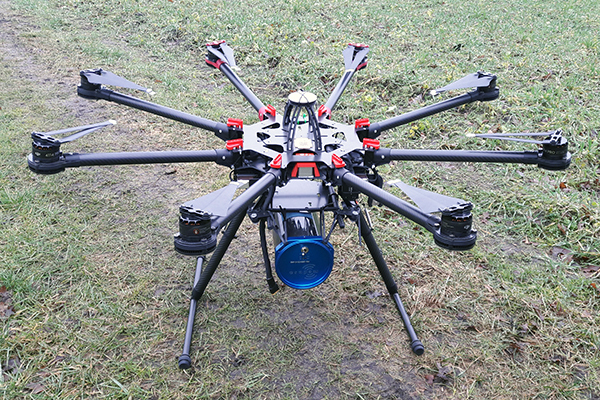 In a collaboration with drone specialists from the University of Wageningen and from the company Vliegend.nl we have done tests of the system underneath a drone and on a crane for testing elevation effects. University Samples More Accurately with Gamma-Ray Spectrometer The Medusa Institute is here!